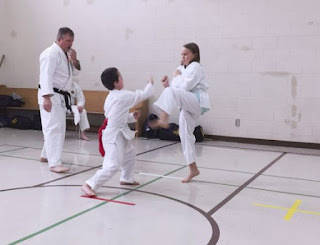 My oldest two children and I have been Training at Foley's Family Karate for almost a year now. We had looked at some other schools before joining this one and after a year we are very happy with our decision. But it all started with my son. 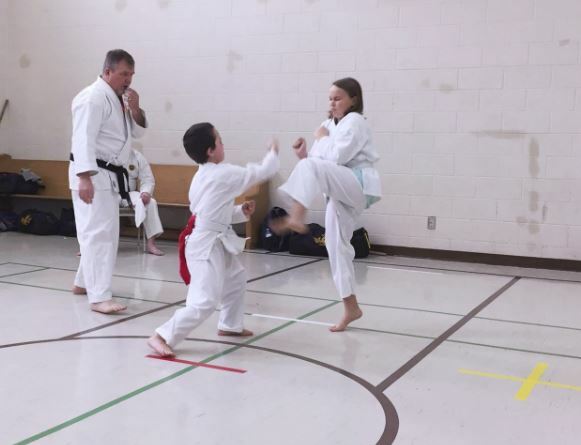 His occupational therapist recommended that Karate might be a good way for him to work on some of the skills that needed development. So the first week my wife took him and my oldest. My oldest was not sure but joined in part way through the class. Then I took them for their third class and I watched that class and, even with my old injuries and issues, decided to give it a try. It has been great for us as a family to be part of this amazing community. 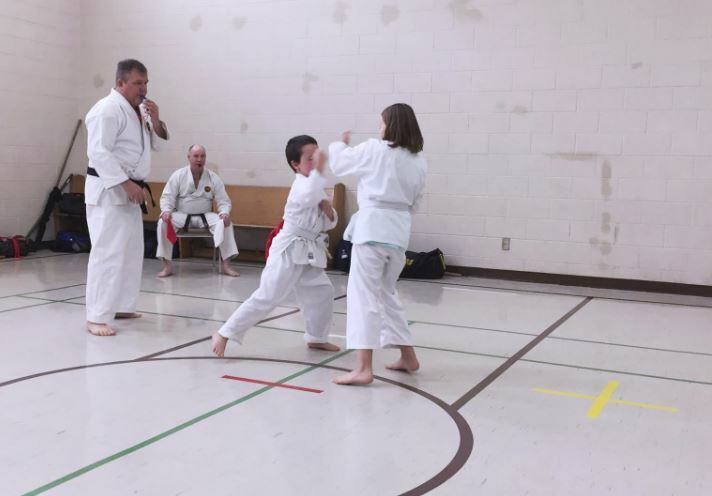 Foley's Family Karate teaches three specific styles. The main Karate is of the Shorin-ji ryu Karate style. 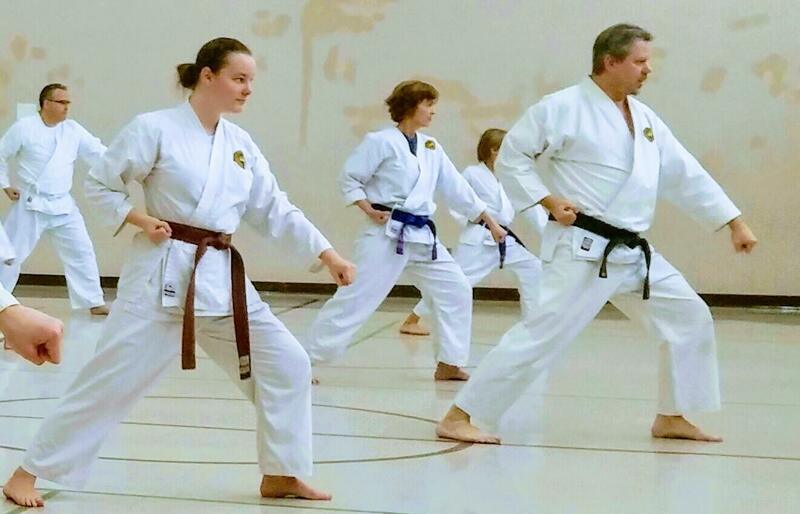 Sensei Foley also teaches Tai Chi classes and we also practice Kobudo weapons training. 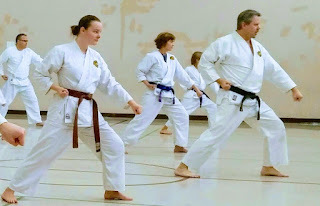 In our first year we have learned a number of Katas, we have each achieved out first belt level and have our first stripe towards our next belt. The children have also competed in their first completion. The children each took 2 medals in open hand kata and in sparring. The one black belt was amazed at my son's performance in the competition. In class he does not always push himself but when it came time to compete did he ever have some great game face! When you join Foley's Family Karate it is affiliated with Zen Bei Butoku Kai International. We pay an annual membership fee and then monthly training prices. There are family discounts available. But with that monthly fee we can attend any of the classes at the three schools run by Sensei Foley. Kitchener: Wednesdays: 7-8 p.m., & Saturday: 9:30-11 a.m.
5) We shall develop self-control, in order to refrain from violence and uncontrolled behavior. Now, it is not all family members at the classes we attend. There are also a number of people who practice without their spouse or children. There are two brown belts (a father and daughter) who have been doing it together for 10 years. 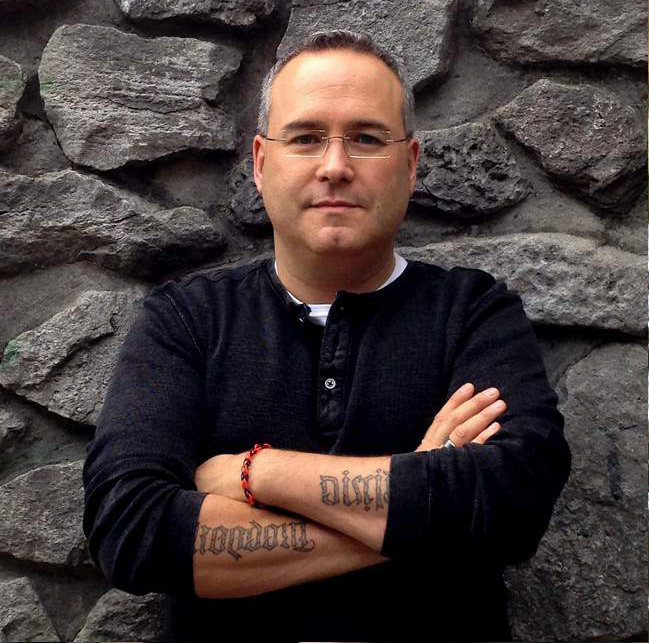 They have a wealth of knowledge to share and are great at helping the kids and me. 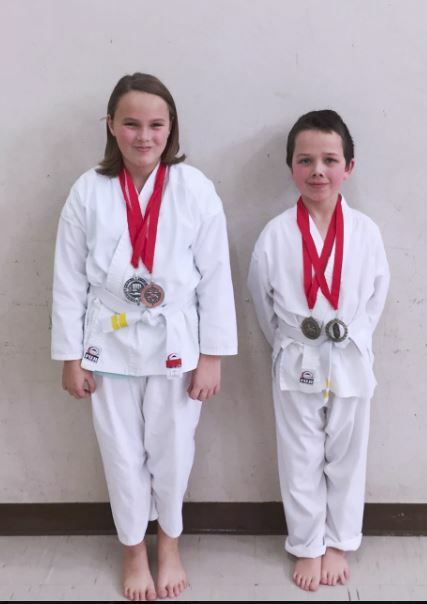 There is also a mother and her son who achieved their blue belts this past winter who have been training together for a number of years. There are a number of things to love about this school. The community is at the top of the list along with the balance between group class needs and the needs of the individual. There is also the value. 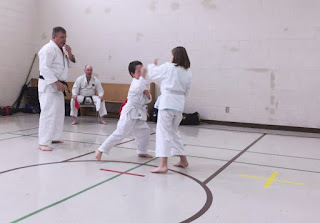 Sensei Foley tests for the stripes in his regular classes when he thinks you are ready he asks, and there is no extra cost. We only have a cost when testing for full belts. And most of that covers the cost of the belt. Over the summer when we were doing outdoor classes we did a different weapon every three weeks. 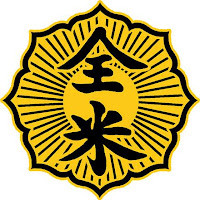 Sensei brings extras and does not expect us to buy new weapons for the kids every year. In fact, he recommends not buying them until they are at a belt level when they need them. I really appreciate the value and common sense approach at this school. This is a great place to train and as a family we highly recommend it.